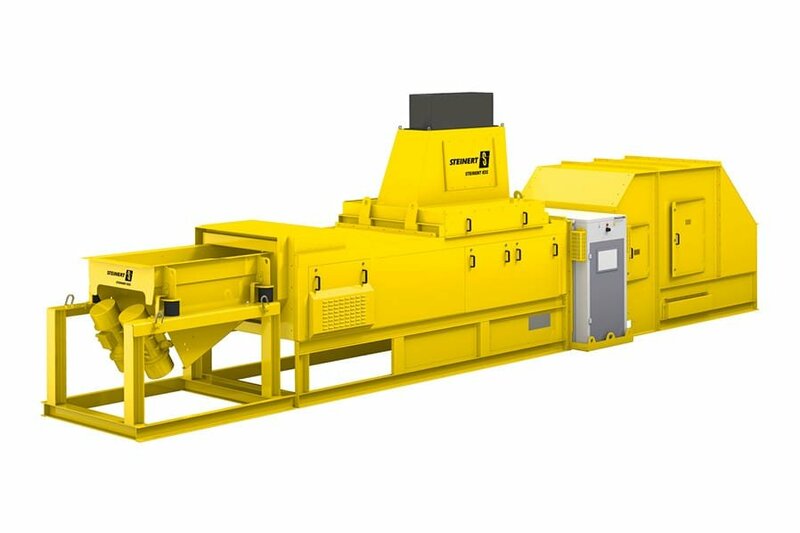 The modular structure of the STEINERT KSS sorting machine as a dynamic solution for complex tasks in material separation. To suit your individual requirements: our STEINERT KSS combination sensor sorting system is a platform on which various sensors can be deployed This includes 3D, colour and induction detection. The system can also be fitted with a fourth sensor (near-infrared, x-ray transmission or x-ray fluorescence sensor). The combination of 3D detection and induction sensors compared to a purely inductive sensor, for example, enables the active sorting of non-metals from metal concentrates. So-called negative sorting suppresses specific (unwanted) objects in the material flow. The combination of x-ray transmission (XRT) and 3D provides the option of an additional assessment of object characteristics and makes the system less sensitive to large differences in the material to be sorted. In principle we always recommend the sensor combination that is configured to customer and application requirements. This combination often opens up further possibilities to clean up generated products beyond the extent originally required or to add sorting stages previously assessed as not feasible. The STEINERT software developed by our experts also enables the design of new detection algorithms, which can be added at short notice as needed to cope with new challenges. The extended combination of up to four sensor technologies has established a very flexible sorting system for our customers, which enables the solution of different sorting tasks with just one machine. 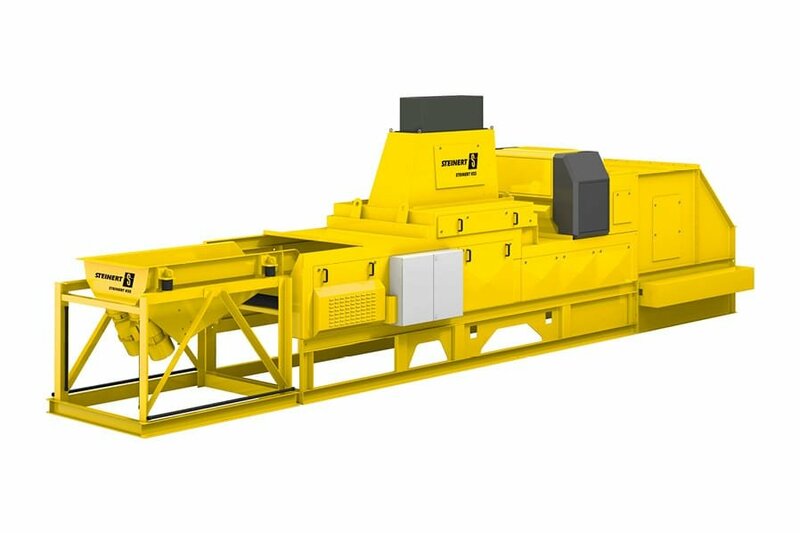 This machine is frequently deployed in material recovery facilities dealing with multiple fractions in smaller quantities, where the installation of a dedicated sorting line (in-line) for one fraction is not economically viable. 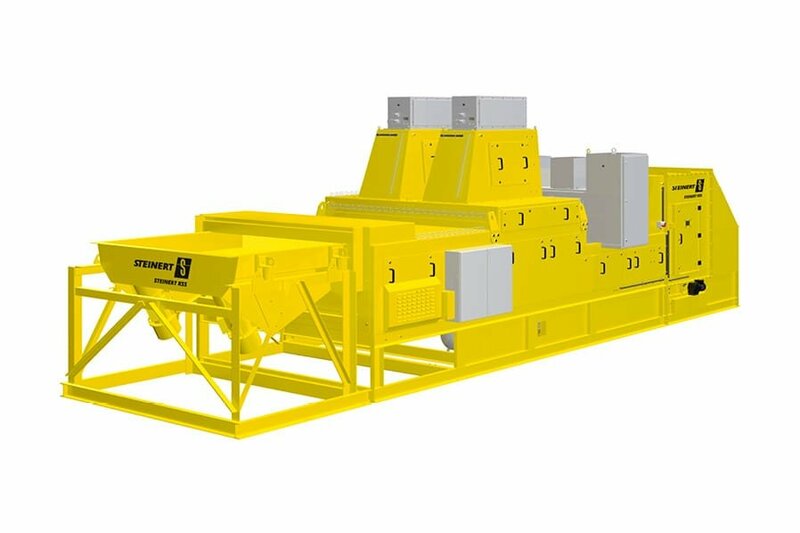 A multi-sensory sorting system is installed instead as a stand-alone solution, which is then operated in batch-feed with different materials and processing objectives. There are appropriate constructional modifications for use in the mining industry to account for deployment in a wear-intensive environment. The semi-mobile variant with a one meter working width is a special version of the STEINERT KSS that is installed in a 40” container. A further 40” container contains the operating room with controller. We can optionally include a diesel generator set, compressors, conveyor belts and feed hoppers in the scope of supply. This enables a comprehensive overall concept to be provided to meet the requirements and ambient conditions and allows processing even in remote areas without essential infrastructure. The necessary operating power for the overall system can be generated using a diesel generator set if self-sufficient operation is to be enabled. 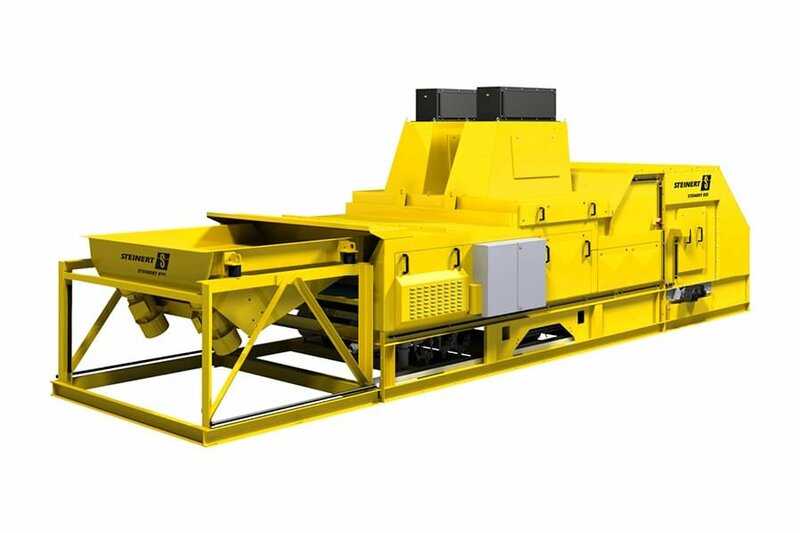 The focus of the semi-mobile STEINERT KSS is on mineral processing, although it can also be used in other sectors.